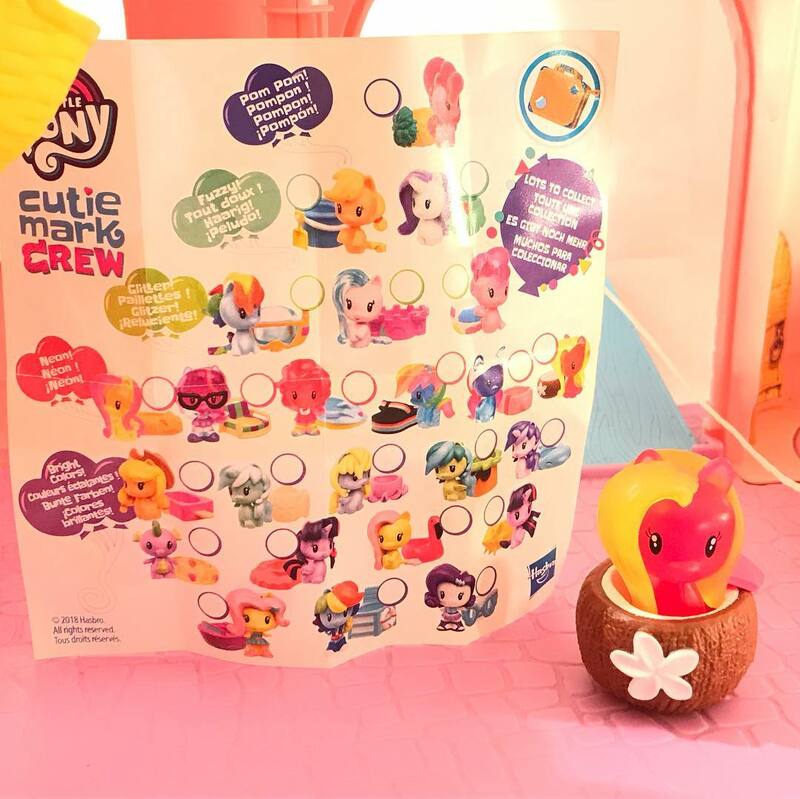 This week we were tagged on our Instagram page with a very interesting find: a Cutie Mark Crew Lily Valley figure from a series 4 blind packs! We didn't hear about these being found anywhere else yet, and it appears that this one came from Amazon. While we can't confirm it yet, it's possible that this blind pack originates from the listing that combined the title & description from series 4 with the photos of series 3. 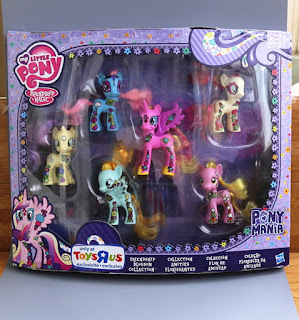 Thanks to equestria_toys_movies for the photos! UPDATE: The series 4 blind pack was bought from this listing on Amazon.co.uk, which also features series 3 photos. A big surprise this week from Hasbro with the release of a new wave of blind bags! Last year we thought it was game over for the classic blind bag waves with the continuous release of Cutie Mark Crew figures, but this turns out the be just a pause. 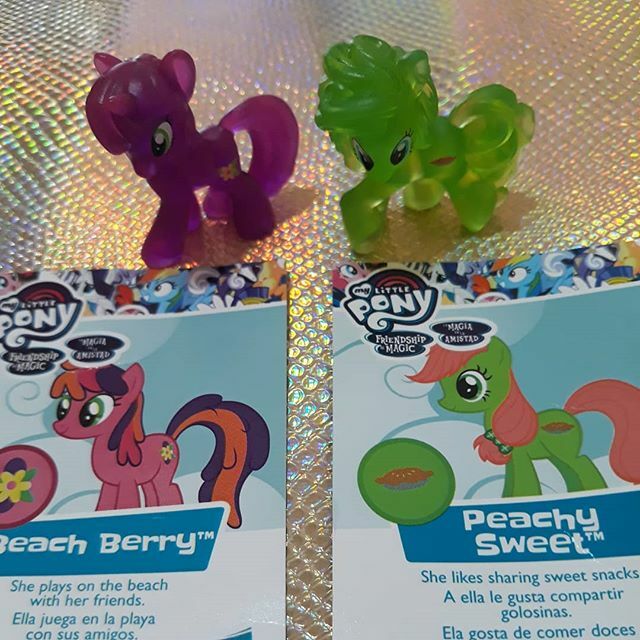 This week an images was shared on Instagram showing two well-known blind bag ponies with new cards attached. 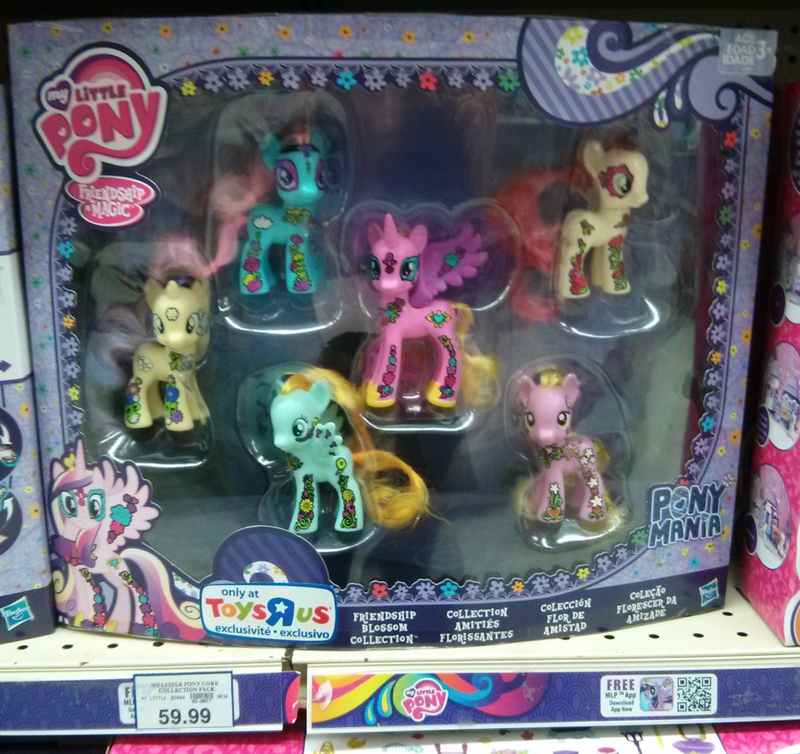 As far as we can tell the ponies in this wave are all re-releases from earlier transparent lines, like Wave 14, 16 and 17, with one exception: Rainbow Smile. A trademarked name we couldn't find a reference to anywhere else, and judging by the name, color and pose it could be a new name for Rainbowshine. 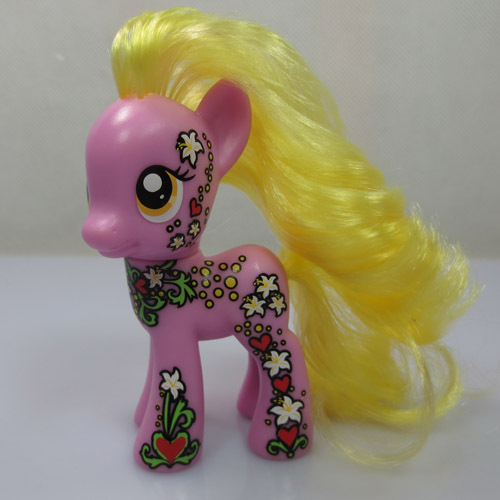 All figures come with a fully transparent body, no painted mane/tail and no added glitter. Though, there seems to be some color variations from the earlier releases, and we spot usage of the new eye designs from later waves. The figures were found in Mexico, and we didn't see them at the NY Toy Fair this year or last year. This raises the question whether the new wave (technically #25 if we exclude Best Gift Ever) is a worldwide release, or of this wave will only see specific countries. Still, if that latter is the case, they could still end up in discount stores like the budget EqG dolls. We have more Ponymania news for you! In addition to Queen Chrysalis who had been listed on the Toys'R'Us website, it seems like the Friendship Blossom Collection has now been listed as well. Its also available in some stores already. You can order it for $29.99. 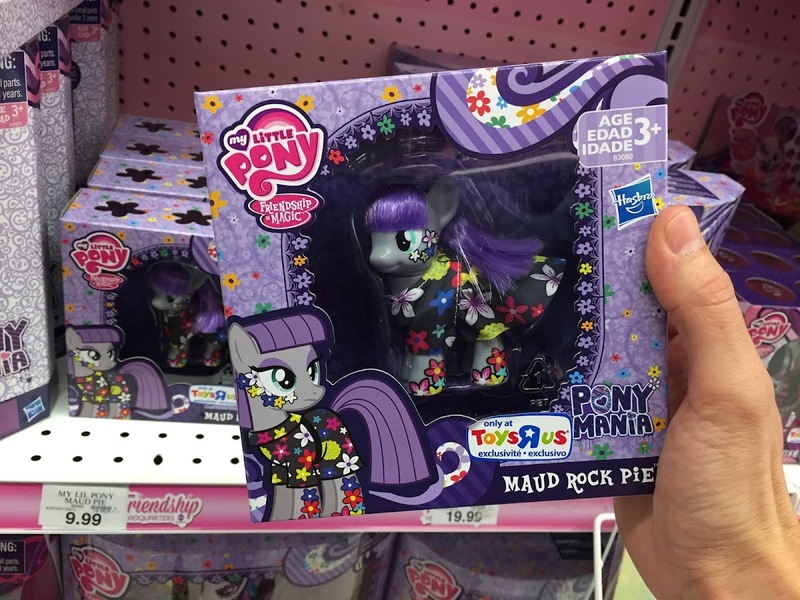 After the findings Queen Chrysalis at Toys"R"Us, now the Maud Pie single and Friendship Blossom Collection are also spotted in stores. 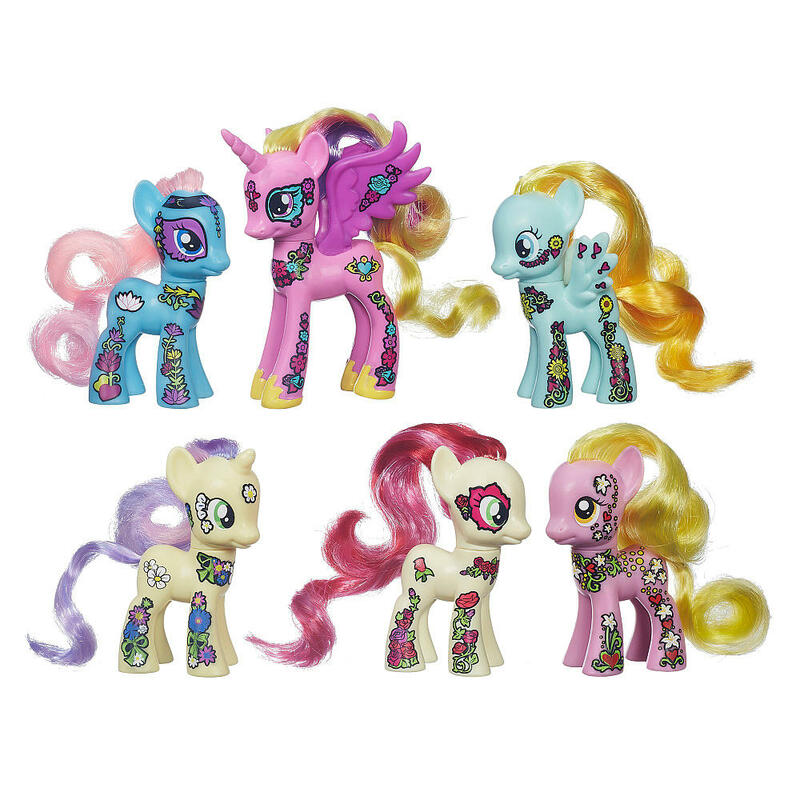 Maud Pie is available for $9.99, and the collection is $29.99 and features 6 decorated ponies. We're also still waiting for more Equestria Girls dolls in the Ponymania line, such as Lily Valley, but we've yet to get more info on these. 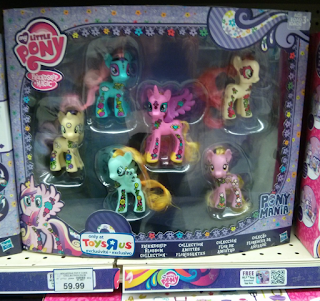 Thanks to Felipe for the images taken at Toys"R"Us Chicago! Even though this set had already been spotted at Toys´R´Us Australia. There still hasn't been an online listing and as so far, the image from that post was the only there was right now. But today this set was spotted on Taobao so now we can take a better look at it. We also now have a picture of the back of the box which shows one thing. Lavender Honey´s name actually never got confirmed. 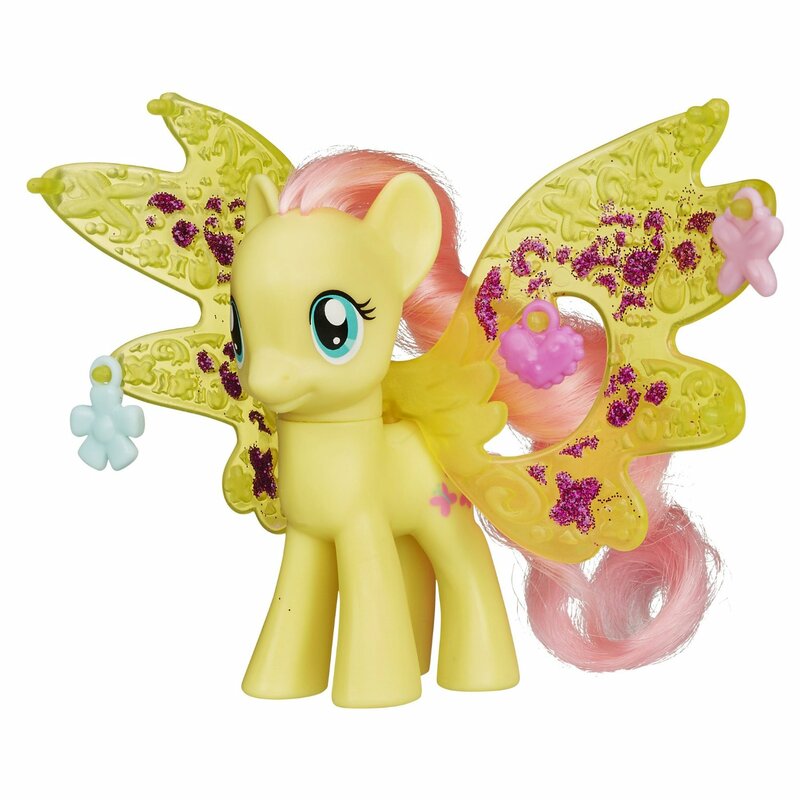 A lot of people called her Lavender Honey but it was unclear if Hasbro would also use this name. Turns out they don´t. Her real name is Sunshine Petals. Let´s hope this set will be in the US soon as well online. We will keep you guys updated! And even more Ponymania news! This time the packaging for the six brushables we've found earlier have been found at TRU Australia just like the Fluttershy doll. This means the second wave of the Ponymania line has officially been released. Let's hope they appear in other countries soon and that they get listed soon as well. This set features: Princess Cadance, Lotus Blossom, Lily Valley, Lavender Honey, Helia and Roseluck.Who's your favourite? Thanks to nogames and Tulip for the heads up! It's been a while since we saw any new toys covered with those flower designs surrounded by a black line. We only saw an advertisement for them but nothing else. Until today! 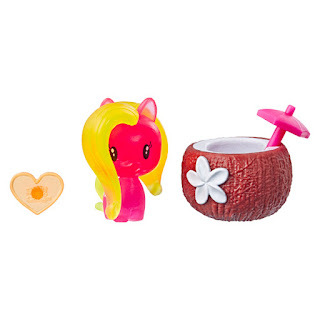 It seems like Lily Valley will join this line as well as a brushable (even when she was displayed as a human on the advertisement) so that makes a total of 6! 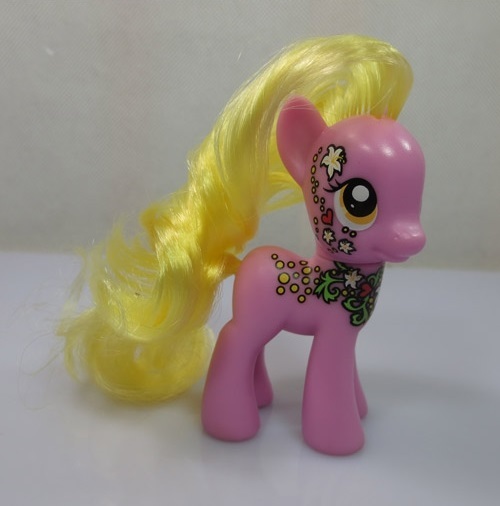 She was found just like the others on Taobao. I wonder if we will get a large princess as well. There's still so much to know about this line, I can't wait for the big reveal! Its been a while since we heard anything related to those Flower Covered Brushables. We didn't see them at the Toy Fair as well. So what now? Well this display has been found and it seems like it's themed after these brushables. As you can see this display features several characters with that flower theme going on. The products in the front don't seem that interesting because we've seen already most of it. So lets talk about the backdrop! 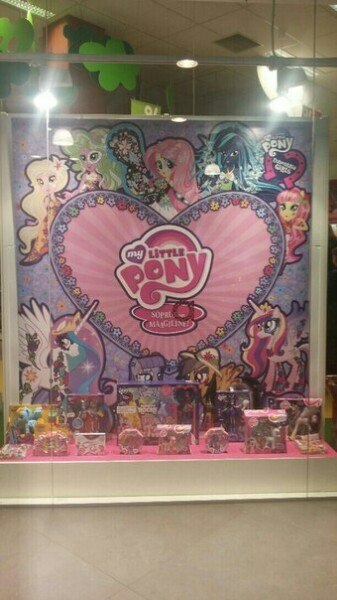 As you can see this one features both ponies and Equestria Girls. On the top we see the EQG forms of... Lily Valley? (Not sure) Flower Wishes I presume, Fluttershy, Queen Chrysalis and Roseluck. 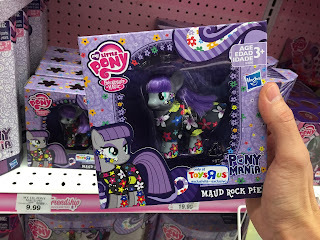 Will this mean there's a Queen Chrysalis doll coming? And will she be in the new movie? As for the location where this has been found, it seems like it has been found in Estonia. We hope we can provide more information soon like the actual name of this new series and other information. So stay tuned! Thanks to Viktoria for the image! Wave 2 of Charm Wings and Water Cuties Brushables announced and more! In a certain pdf found on the Hasbro Investor website more information was found about future releases for this fall. There's quite a lot of things so let's start! Lets hope a lot of these will be revealed tomorrow during the NY Toy Fair 2015! We will keep you guys updated. Thanks to adventuresinponyville for the heads up!